Ironclad are an Adelaide-based group dedicated to the re-enactment of medieval tournaments and the pursuit of historical european martial arts (hema). New members and inquiries always welcome. Ironclad have been operating since 2012. We are a frequent sight entertaining audiences at local fairs and private events. 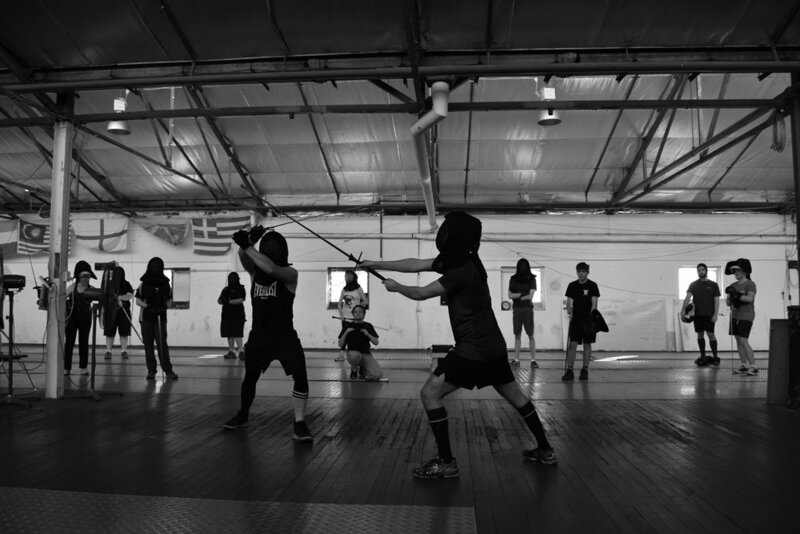 We train twice a week at our Hindmarsh club rooms, in both theatrical and HEMA swordsmanship. We run new member induction four week courses through out the year. Check our Facebook page and FAQ page for more information. No Ironclad event would be possible without the valuable help of our friends and businesses. Training will be cancelled if the forecast maximum temperature is 36° or above. See our Facebook page for more details. If you have any questions or enquiries, you can contact us via our Facebook page, or send us a message using the form.